Carcoar Dam Sailing Club - Latest Info & News: Where can you find us? Where can you find us? Where are we? at 739 Carcoar Dam Road, Blayney, just below the wind turbines. or a 10 minute trip from Blayney (13 km/8 miles). 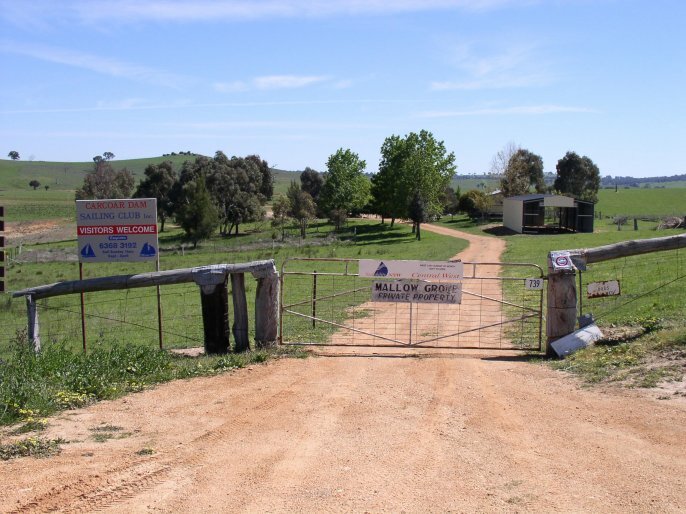 8.5 km south of Blayney (towards Cowra), and 4.5 km north of Carcoar. Turn into Carcoar Dam Road, on past the Wind Farm viewing area and Camping/Picnic Area, and follow it across the Dam wall (3.7 kms). at 739 Carcoar Dam Road, just below the wind turbines. 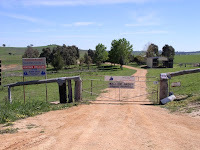 2 kms along, on the right is the Sailing Club at 739 Carcoar Dam Rd, below the wind turbines.